Then said he unto him, A certain man made a great supper, and bade many: And sent his servant at supper time to say to them that were bidden, Come; for all things are now ready. And they all with one consent began to make excuse. The first said unto him, I have bought a piece of ground, and I must needs go and see it: I pray thee have me excused. And another said, I have bought five yoke of oxen, and I go to prove them: I pray thee have me excused. And another said, I have married a wife, and therefore I cannot come. So that servant came, and showed his lord these things. Then the master of the house being angry said to his servant, Go out quickly into the streets and lanes of the city, and bring in hither the poor, and the maimed, and the halt, and the blind. And the servant said, Lord, it is done as thou hast commanded, and yet there is room. And the lord said unto the servant, Go out into the highways and hedges, and compel them to come in, that my house may be filled. For I say unto you, That none of those men which were bidden shall taste of my supper. "Write, 'Blessed are those who are invited to the marriage supper of the Lamb.'" And he said to me, "These are true words of God." Revelation 19:9.
comandments of God and the faith of Jesus. Revelation 14:12. You are visitor number ! 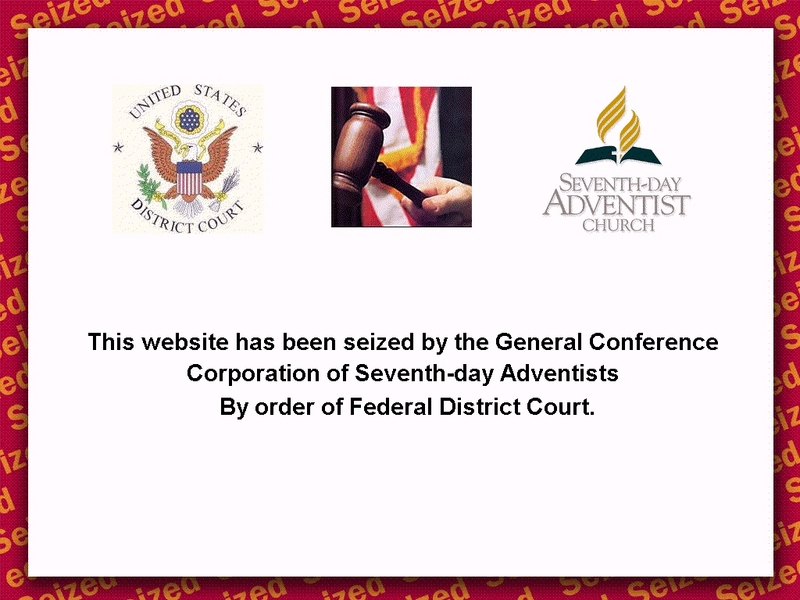 The Creation 7th Day Adventist Church does not endorse any of the computer- generated advertisements which may appear on this page. We are sincerely grateful to the site provider, TRIPOD, for the privilege of FREE use of this web space. Walter McGill and the Creation Seventh Day Adventist Church Hoax ?